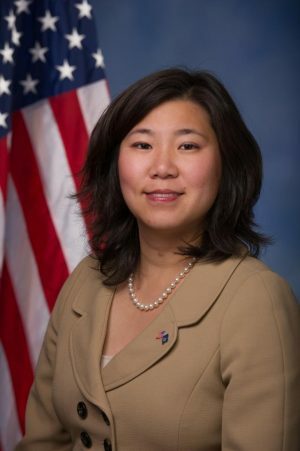 Congresswoman Grace Meng on Tuesday introduced the Menstrual Equity for All Act, legislation designed to address the difficulties women and girls face in accessing menstrual hygiene products. The bill aims to give states the option to use federal grant funds to provide students with free menstrual hygiene products in schools—the same funds that already sponsor other health and wellness efforts. The bill also seeks to ensure that incarcerated and detained individuals in federal, state and local detention centers—including immigration detention centers–have access to free and unrationed menstrual products. Although the Federal Bureau of Prisons announced in 2017 that it would be requiring federal prisons to make these products available to incarcerated women, subsequent reports suggest that numerous prisons were failing to comply. Medicaid would also be required to cover the cost of feminine hygiene products for its recipients. Meng’s proposal would also include that all public federal buildings and private companies–that employ 100 people or more–be required to provide these products for free in restrooms. “Every day we see the struggles of families and women faced with impossible questions around managing their periods: Do I buy period products or food? Do I leave the house with only one tampon for a job where I can’t call in sick?” according to Corinne Cannon, Founder and Executive Director of the Greater DC Diaper Bank. “This bill is an enormous step toward ensuring more families, young girls, and women have access to the products they need to manage their periods in a dignified and healthy way,” Cannon said. U have to b kidding me!!!! !This is crazy!!! Your tax dollars at work! Medicaid will cover it! OMG. Fleecing of America!